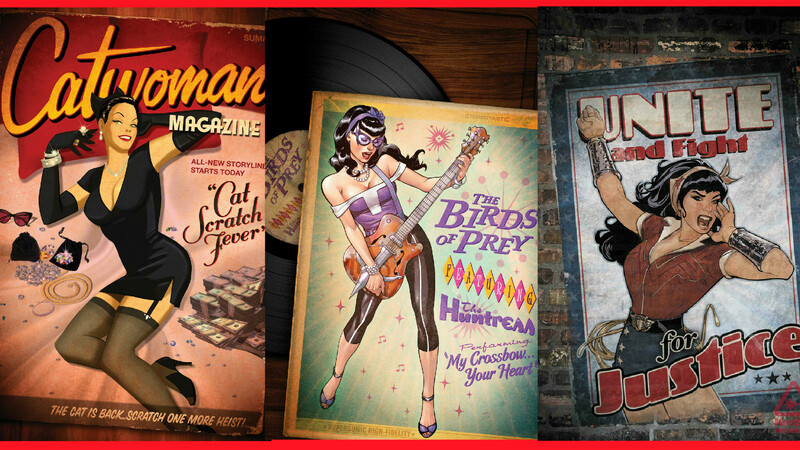 DC Comics’ mega popular ‘Bombshells’ line deftly re-imagined some of its most iconic female Superheroes with a 1940’s pin up style makeover, originally envisioned by illustrator and cover artist – Ant Lucia. The burgeoning franchise was adeptly brought to life in 2011 when DC Comics’ Collectables alongside Udon Entertainment produced four illustrations based upon Ant Lucias’s original artwork for a possible line of statues. The preliminary four characters of Wonder Woman, Harley Quinn, Stargirl and Poison Ivy were later redesigned by Ant Lucia and handcrafted into sculptures by Tim Miller in 2013. Ant Lucia’s designs drew heavily upon the pin up culture from the 1940’s, WWII aesthetics and infused them with a rockabilly style. The final statue design paid close heed to the nostalgic golden age of comic books, with the initial figurine from DC Collectables – Wonder Woman, appearing on shop shelves in September of 2013. Now you may be thinking that the idea of a line up of classic female Superheroes re-interpreted as 40’s pin up girls doesn’t sound like a fantastically realised concept, especially Wonder Woman who has always been seen as a feminist icon and hero to the cause of equality and egalitarianism, but Lucia only drew upon the dynamic artistic technique of the original pin up style, and unlike its more graphic forebear Bombshells has mostly shied away from the titillation and suggestive nature of its predecessor and brought us powerful and uplifting renditions of its fabulously famous females and used any inherent sexuality to empower the Superheroines contained therein. 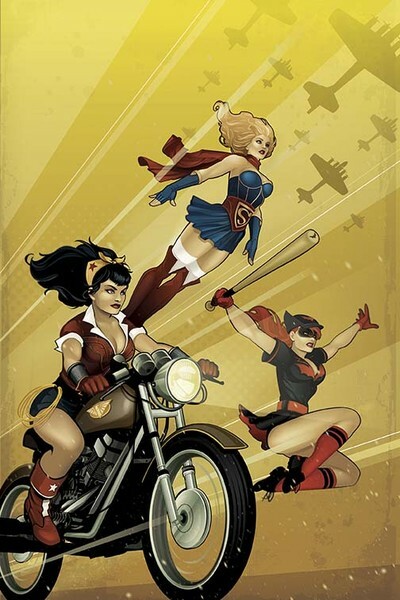 To cement the idea of a group of powerful female heroes based upon a 40’s pin up approach, DC brought in two talented female comic book auteurs – writer Marguerite Bennett and similarly monikered artist Marguerite Sauvage, who took the premise and gave us a stunningly realised and playfully dynamic storyline entrenched firmly in its WWII setting that brought us weighty material heavily influenced by historical events of the time. 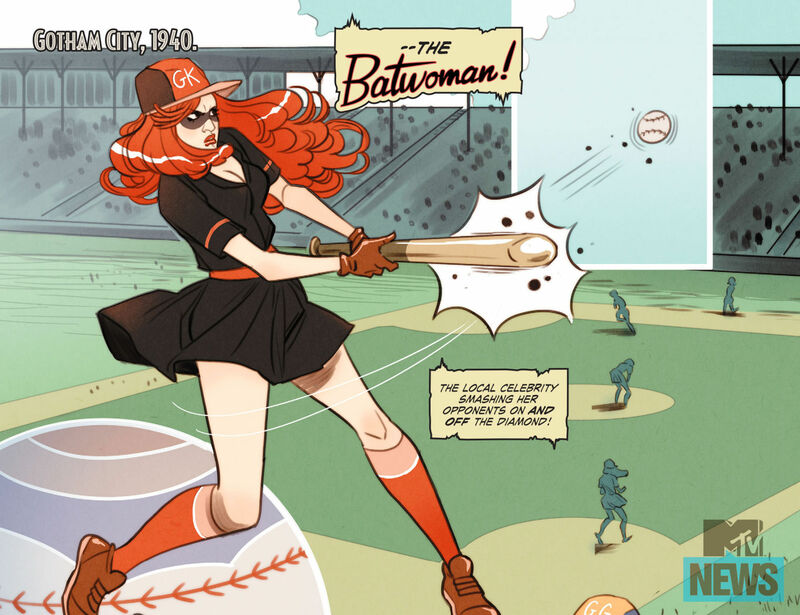 Bombshells proved a massive hit with the fans, and DC’s newest upcoming series ‘Bombshells United’ continues the heroic heritage of its predecessor, but with a significant twist to the motivations of its eponymous cast. 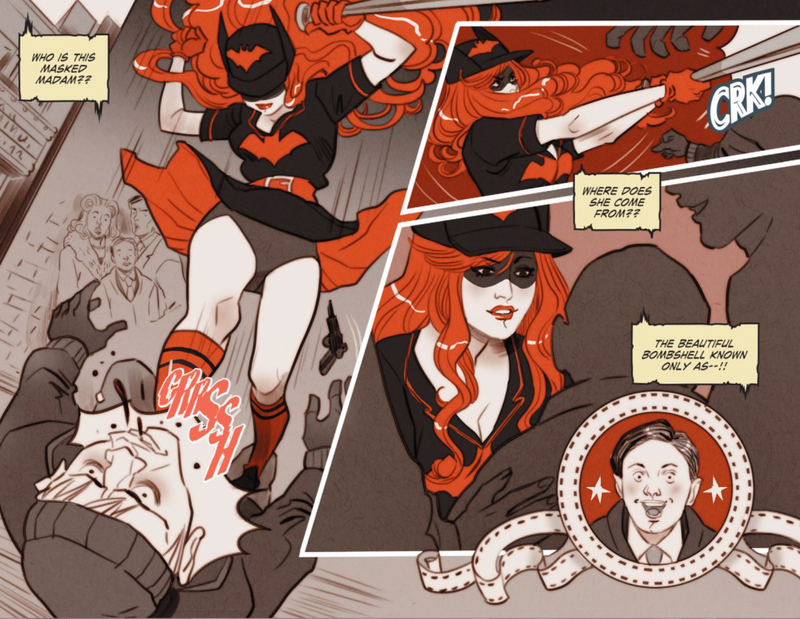 ‘Bombshells United’ reunites us with our favourite force of feisty fictional females, this time however rather than taking up the cause and battling the evil regiments of the Axis powers, they tackle a decidedly domestic threat, the internment of Japanese citizens by the American Government. Marguerite Bennet also adds to the fold, Wonder Girls – Donna Troy and Cassie Sandsmark re-imagining them as Japanese/American citizens whose parents are being forcibly held in the prison camps, Donna and Cassie ultimately join forces with Diana to fight against the U.S. executive order imprisoning their families. 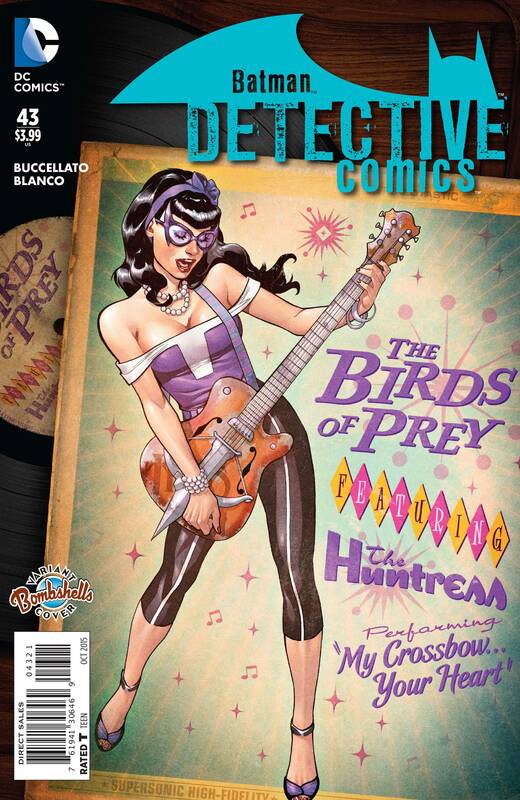 Bombshells United #1 is available at your local comic book emporium on September 6. Written by: Marguerite Bennett. Art by: Marguerite Sauvage. 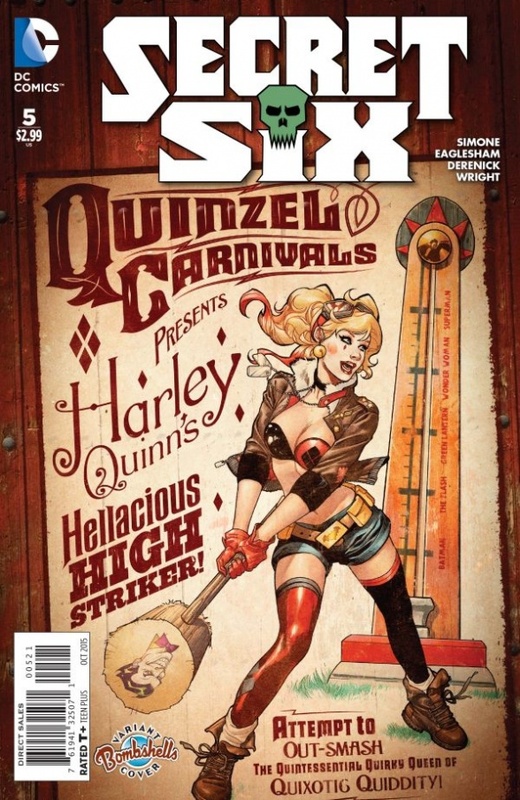 Cover Art by: Terry and Rachel Dodson. Variant Cover by: Babs Tarr. 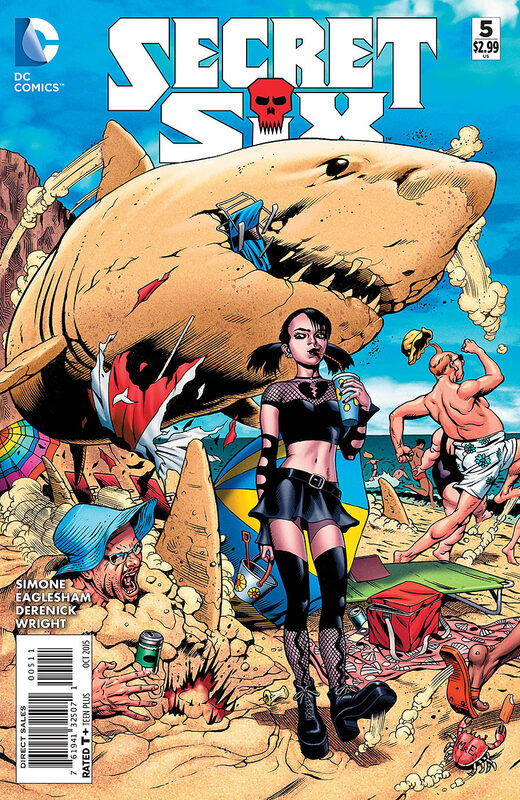 Welcome once more my comic collecting cohorts to another Comic Cover Of The Week, and this week our spotlight of excellence falls upon Secret Six #5, an amazingly detailed and meticulous cover by the extremely talented Dale Eaglesham. Eaglesham’s art is always astoundingly intricate and he manages to embellish every piece of his art with an exaggerated style that enables his characters to leap effortlessly off the page. Secret Six has so far been a joy to read, but with the immensely talented Gail Simone at the helm, you would expect nothing less. Plot Synopsis: After an attack on Big Shot’s home, the teams suburban retreat lies exposed. As the team starts to fracture, the highly dysfunctional band of outcasts prepare themselves for another strike from Mockingbird. Secret Six #5 is available from your local comic-book emporium right now. Written by: Gail Simone. Cover and interior art by: Dale Eaglesham. Variant cover by: Emanuela Lupacchino. Detective Comics #43 is available at your local comic book emporium right now. Written by: Brian Buccellato and Francis Manapul. Cover by: Francis Manapul. Alternate cover by: Emanuela Lupacchino. Interior art by: Fernando Blanco.